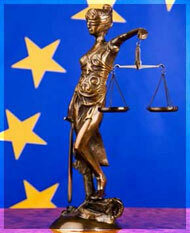 Law and legal services are not only a job, nor can they be fitted in some kinds of moldings and standards. To be creative and persistent in general understands finding better ideas in order to reach an optimally ideal legal solution. We are qualified to recognize problems in their early stage, do a detailed analysis of necessary legal activities, and then – to solve the problem. Our Law Office does not recognize a standard client. Each of our clients is given a special approach and is provided with expert legal support. On the other hand, in return, we expect your honest cooperation. In order to reach maximum performance, your confidence, insight into the process and relevant data are the key to the success. Closer specialty of the Law Office is representing domestic and foreign natural and legal persons before courts and administrative bodies of Bosnia and Herzegovina in civil cases, economic disputes, and the defense in criminal proceedings, and other areas of professional involvement of the Law Office. Principles of Law Office: strict abiding by the principle of professional secrecy and code of attorneys’ ethics, strict avoidance of activities in which there is conflict of interest, professional execution of clients’ orders with maximum preservation of clients’ interests in any particular case. Law Office finds optimal solutions in international legal cases – in application of legal norms in collision. The law is the art of distinction of details. 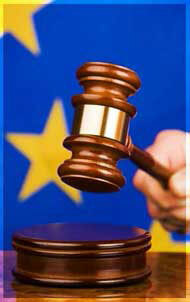 Lawyer’s profession in Bosnia and Herzegovina is not established at the state level. Lawyer’s profession is organized at the entity level. According to the Law on Lawyer’s Profession of the Federation BiH, lawyer’s profession is an independent professional activity which is organized and functions in accordance with law. Lawyer’s profession as a professional activity is carried out by lawyers as individuals, lawyers, for the purpose of joint exercise of the profession, may establish joint law firms and lawyers’ associations. Lawyers are obliged to provide legal assistance conscientiously and professionally, in accordance with the Constitution, laws and other regulations, as well as the Statute and other general regulations of the Federal Bar Association and the Code of Ethics of the lawyers of FBiH. A lawyer shall keep as a lawyer’s secret everything a party confided to him/her, unless the lawyer / attorney was freed of this obligation by expressed or tacit agreement of the party. A lawyer’s secret shall be kept secret also by other people who work in the attorney’s office, joint law office or lawyers’ association. Lawyers in the Federation are obliged to join in one of the regional bar associations by the seat of an attorney’s office, and those are Regional Bar Associations: Sarajevo, Tuzla, Mostar, Zenica and Bihac, thereby they also acquire membership in the Federal Bar Association. The Federal Bar Association has its headquarters in Sarajevo. Unique Directory of lawyers in the Federation of Bosnia and Herzegovina is kept at the Bar Association of FBiH in Sarajevo, and regional bar associations keep Directories of lawyers seated in their respective territory. A lawyer is responsible for the operation of his office. In joint offices all lawyers are responsible for the operation of the office. In lawyers’ associations, members are responsible for the operation of the lawyers’ association. It is the duty of lawyers, while exercising their duties, to constantly take care for the promotion and affirmation of lawyer’s profession as an independent professional activity. Each lawyer is obliged to keep his honour, the moral character of lawyers, independence, integrity and expertise, so that he/she encourages others by his/her behavior. The relationship of lawyers to the court, other governmental agencies and their representatives should be an expression of respect of law, legal culture and legal profession. The headquarters of the Bar Association of the Republic of Srpska is in Banja Luka. The Constitution of the Republic of Srpska in Article 131 states: “Lawyer’s profession is an autonomous and independent activity and service which provides legal assistance. Organization and operation of lawyer’s profession are regulated by law” , and lawyers are obliged to provide legal assistance to protect human rights and freedoms guaranteed by the Constitution of the Republic of Srpska and Bosnia and Herzegovina, as well as rights and interests of individuals and legal entities as defined by laws and other regulations. Lawyer’s profession means providing legal advice, drafting pleadings, drafting documents under the scope of the profession, representing clients in all civil, administrative and other proceedings and matters before all regular and other courts, government bodies, arbitration and other legal entities. Brcko District BiH does not have its own bar association, but lawyers from Brcko District enroll in one of the bar associations in Bosnia and Herzegovina (Federation of BiH or the Republic of Srpska). "The legal profession in Bosnia and Herzegovina has a tradition longer than 130 years – the first written Law on the legal profession was passed in 1883 by Austro-Hungarian goverment /Advokaten ordnung/. This event is today celebrated as the beginning of an independent and autonomous legal profession. The so-called law -'Attorneys order' established a unique system and provided freedom to become an attorney-at-law. The attorneys are the part of judicature and the goverment could not reject the applications of the candidates who met the necessary requirements. The second Law on the legal profession was passed in 1909, by which the autonomous bar associations were constituted in Sarajevo, Ljubljana, Split and Dubrovnik. By this law, the legal profession was institutionalized – the Bar association was constituted together with its bodies, the Register of attorneys was run and maintained but the attorneys were still appoined by the Government. In the 1929 the new Law of Attorneys was passed which equalized the status of all attorneys in the Kingdom of Yugoslavia. In the same year the Minister of Justice made a special decree in order to establish the bar associations in Belgrade, Podgorica, Skoplje and Zegreb while the bar associations in Sarajevo, Novi Sad, Ljubljana and Split continued with their work. This Law was made in accordance with the existing European standards, so an attorney-at-law had a freedom of speech and a complete immunity. In 1957 the new Law on the legal profession was passed and legal profession was determined as a public service with the aim to represent the organizatons and institutions as well as individuals. The first Law on legal profession of Bosnia and Herzegovina was passed in 1971, and in 1974 the journal 'Legal profession' was launched." LAW FIRM • LAWYER • COUNSEL • BARRISTER • LAW FIRM • LAW OFFICE • LAWYER • Advocats • Adwokaci • Advogados • Advocaten • Attorneys at law • Barristers • Abogado • Jurist • Solicitors • Law Firms • Attorney-at-law Federation Bosnia and Herzegovina Law Office Bosnia and Herzegovina, Tuzla, Sarajevo, Brcko, lawyer, BiH, Bijeljina. Gracanica, Law Zenica, Tuzla, Bosnia and Herzegovina. Srebenica, Banja Luka, Law Firm in Bosnia and Herzegovina, list of lawyers in Bosnia, Sarajevo. Law Office Sarajevo, Bijeljina, Banjaluka, Tuzla, Zenica, Brcko DC, Republic of Srpska Bosnia and Herzegovina. Banja Luka. Tuzla, Bijeljina, Banja Luka, Sarajevo, Law Office BanjaLuka, Orasje, Federation of Bosnia and Herzegovina, Attorney at law Sarajevo, Tuzla, Banja Luka, Bijeljina, Doboj, Mostar, Brcko, Zenica Attorney's office, Lawyer, Attorney's office, Advokaadibüroo, Law Office Sarajevo, Banja Luka, Tuzla, Mostar - Zenica - Sarajevo - Tuzla - Banja Luka.